Emily Dickinson: Her collection of botanical specimens [PHOTOS]. These are pages from Emily Dickinson’s herbarium, or homemade book of pressed plant specimens. Assembled when Dickinson was a 14-year-old student at Amherst Academy, the book holds 65 pages of plants—400 total. 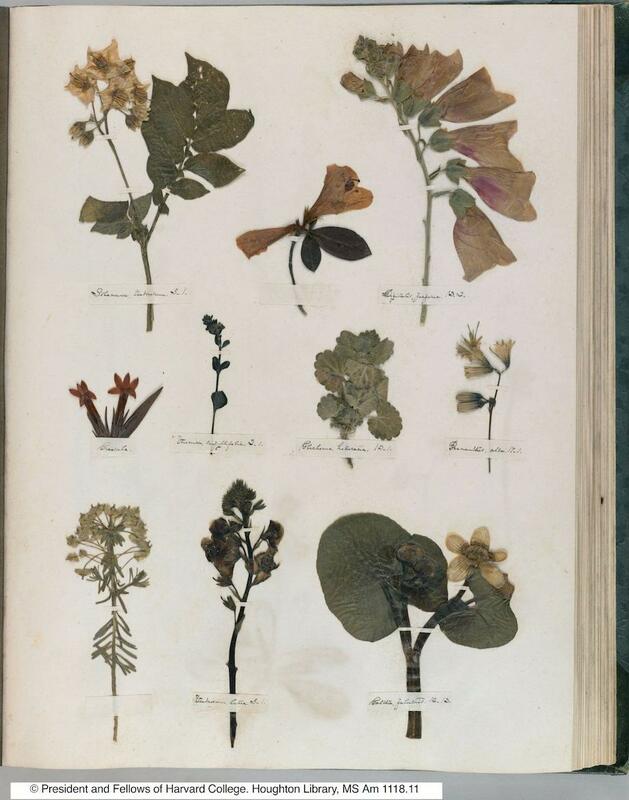 Have you made an herbarium yet? I hope you will if you have not, it would be such a treasure to you; most all the girls are making one. If you do, perhaps I can make some additions to it from flowers growing around here. 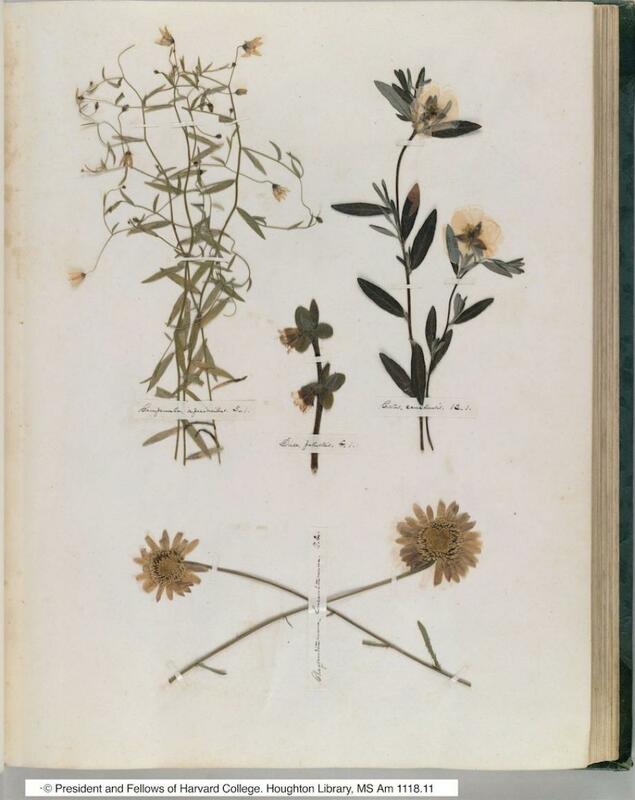 Dickinson’s herbarium, held by Harvard’s Houghton Library, has been digitized. The book is searchable by plant name. 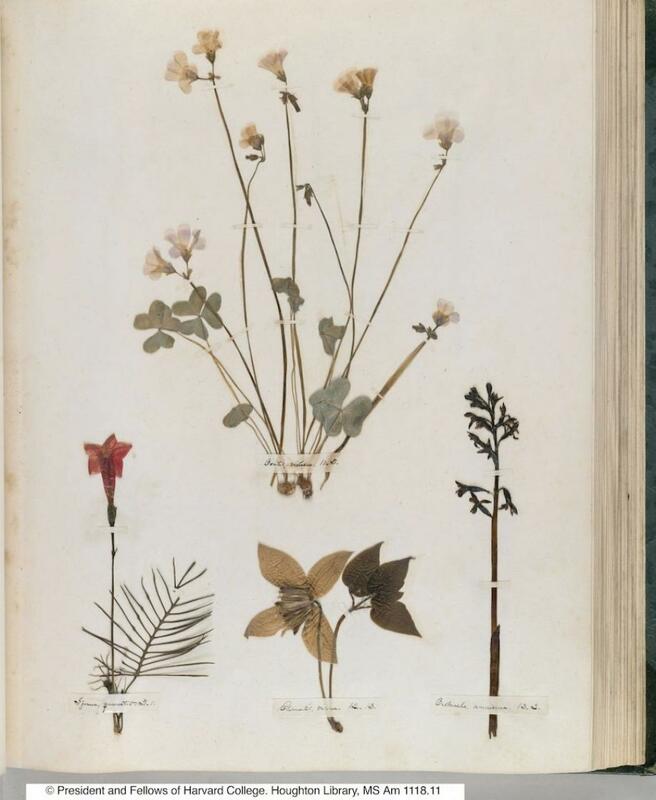 For each page, the reader can click on the “view text” tab to see transcriptions of Dickinson’s plant identification labels, along with their modern equivalents. The digital edition also notes corrected identifications when Dickinson got the plants’ names wrong. That wasn’t an uncommon occurrence. Fair enough—she was only 14. The Houghton Library holds many more Dickinson items, some of which are also digitized. MS Am 1118.11. Gift of Gilbert H. Montague, 1950. Houghton Library, Harvard University.